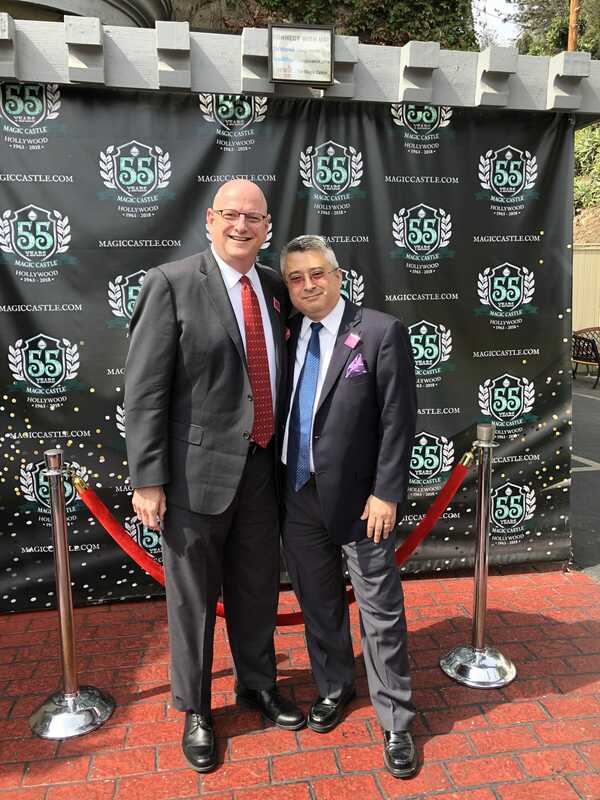 Over the weekend the Two Gay Geeks had the wonderful opportunity to go to The Magic Castle in Hollywood, CA. 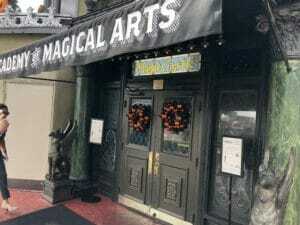 For those who don’t know, it is a private nightclub for magicians as well as a clubhouse for the Academy of Magical Arts. For the most part, only members are allowed in, but friends of members can sometimes be invited in. In our case, this was part of a special event that was set up with Disney, so naturally we would go! Upon arrival we were greeted inside a small waiting area just inside the door (and NO CAMERAS ALLOWED), after which we were escorted to one of the bars that the club has where one might find a “ghostly” player piano named Irma who will pretty much play anything you ask of her. We didn’t get much time to look around as one of the hosts told us we needed to make our way to the dining room as we were in a position to dine there for a Saturday brunch (in addition to having a bar for drinks they also have a pretty good restaurant), after which we could catch a couple magic acts. The theater for this type of show has steep rows that are partially curved around the performing area so that every person would be guaranteed a good seat. For this particular show another of their junior magicians (who was relatively new to the Castle) picked a couple of kids and worked some slight of hand with a deck of cards. The show was only about 20 minutes because there were other groups of people at the Castle and they needed their opportunity to see these shows as well. One final treat was at a small table where an older magician was working exclusively with children of varying ages, and this man was amazing! Not only was his skill with “magic” ridiculously good, but the way he was able to work with the kids helped to leave me with a smile on my face and a sense of wonder in my heart. Going to The Magic Castle has been something of a dream of mine ever since I was a teenager. The Castle has grown a lot and even now has a hotel attached to it. I had hoped to be able to explore it more, but we were on a limited schedule so there was very little free time to actually wander around the open areas of the Castle or see all of the different shows that were taking place during the day. In that respect the experience was something of a disappointment because I very much wanted more. There is very little doubt that we’ll go back because just as a historical site, The Magic Castle is something to behold just from its history. If you have a love of good magic performances and the skill needed to “sell” the trick, then visiting The Magic Castle is a must! While it is a private club, the do have lunch and dinner shows (the latter appears to offer more magic shows to the guests) available to groups and individuals. 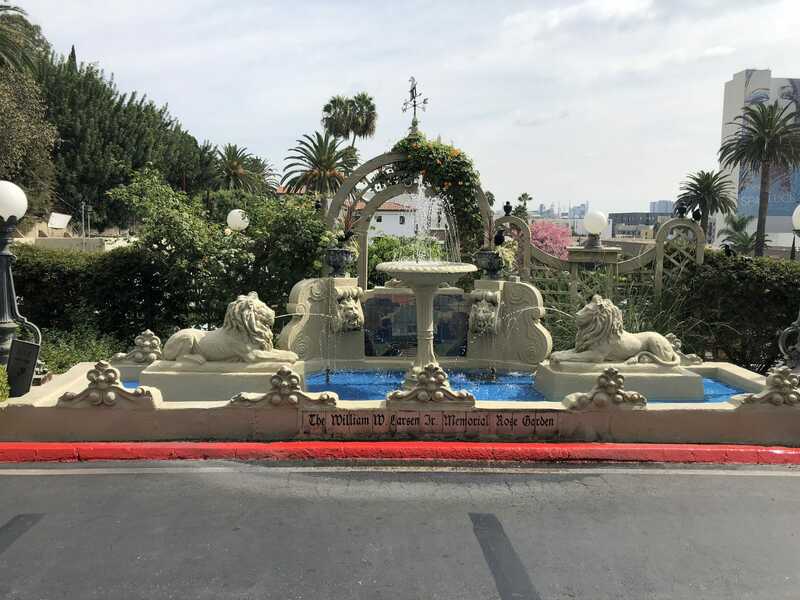 Even if you love the history of magic shows as well as some of the great magicians who have already left their mark, The Magic Castle is a must destination! Please be aware that to go inside The Magic Castle there is a strict dress code! Really enjoyed your article!! So glad you were able to experience !